Valentine’s Day is just around the corner. 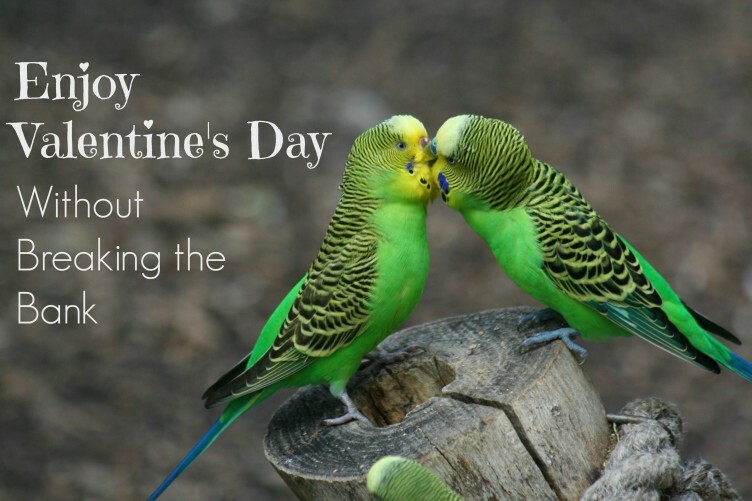 What do you have planned for the day of love? If your bank account is still recovering from holiday bliss, you may be hesitant about spending more money. The truth is you may not have to. Showcasing your love for that special someone with dinner at a nice restaurant, boxes of chocolate, and elegant flowers is nice, but it’s also expensive. So often we associate romance with a dollar amount, but that doesn’t have to be the case. Who says you can’t have a romantic Valentine’s Day without breaking the bank? Here are some ways you can celebrate Valentine’s Day without going overboard. Before whipping out your credit card to pay for a romantic evening, check your rewards balance. Credit card rewards aren’t just for travel anymore. Many programs allow you to cash in your accumulated points for other rewards such as gift certificates and even cash back. This is a great way to reward yourself and your sweetheart without overspending. Dinner and a movie or a nice weekend at a spa are both great ways to spend an intimate Valentine’s Day with your sweetheart and they don’t have to cost a dime if you can redeem your rewards. Making presents for your sweetheart isn’t just for kids; grownups can give handmade gifts too. I’m not talking about making sock puppets or cutting out heart shapes for a Valentine’s Day card. Instead, make a present for your loved one that comes from the heart. Readers Digest says “Nothing says I Love You more than a DIY gift.” Create a photo album that your loved one can cherish for many years to come. Bake something special (even if it’s just out-of-the-box brownies) and write a message in icing. It will be special and will probably mean more to them than anything you can buy. Have you ever seen an entire wedding audience cry because the couple wrote each other a song or a poem? Craft a song, a poem, or even a love letter for your sweetie. It works! If you’re not the creative type, make your honey a retro mixed tape or an Itunes playlist. Spending the night out with dinner, drinks, and a movie or theatre tickets can quickly add up. A much more romantic and way more budget friendly than spending a night out on the town is to stay home. Can you think of a better way to spend Valentine’s Day than at home with just you and your sweetheart with no crowds and no other couples? Cooking your favorite dinner at home is a fun way to spend time together and also enjoy the fruits of your labor. If your spouse or significant other is busy, give the gift of time. Offer to clean the house for a month, take the kids to give your sweetie some “me time” or anything else that would help your sweetheart out. Make the offer even more special by creating a gift coupon book. Sometimes it’s the little gestures that have the biggest impact. If you want to give your special someone an everlasting gift, don’t shell out a ton of green for red roses. Instead, buy them a lovely potted plant. MSN says that potted plants make a commitment statement. Why spend a lot of money on something that will only last a couple of weeks when you can spend less money on a plant that will last a lot longer than a bouquet of flowers?